Amole & Bray P.C. is a family-run legal practice serving Alexandria and the Northern Virginia community. Roger Amole handles personal injury cases and estate planning, while his wife Debra focuses on family law including divorce. Amole & Bray P.C. have a full-time dedicated support staff who help ensure that you receive the personal legal service you deserve. Take a family approach to your serious legal concerns When you are in need of legal counsel, this law firm treats you like family. To speak with a dedicated lawyer in Alexandria, contact Amole & Bray P.C. Clear and confident legal support in Northern Virginia: Debra Susan Bray manages the family law and divorce practice, which includes litigating all matrimonial issues, from alimony, divorce, and property division to child custody, visitation, support and adoptions. Her skills include negotiation of advantageous property settlements, spousal and child support awards, drafting of all documents such as qualified domestic relations orders, separation and property settlement agreements, decrees of divorce and petitions for enforcement of support orders among many others. Divorce can be an emotionally trying time for all parties, and Ms. Bray is very much aware of the stress and strain involved. She takes a sensitive and caring approach with her clients, but she is also an aggressive divorce litigator who knows how to use the law to protect her clients' rights. She is also a certified guardian ad litem, representing abused and neglected children. Grounds for divorce: You can get a no-fault divorce in Virginia if you have lived separate and apart for one year. If neither of you have children and you have a property settlement agreement signed by both parties, you can get a no-fault divorce in only six months. However, divorces can also be based on fault grounds: adultery, cruelty, or abandonment. Fault-based divorce actions are frequently contested by the party accused of fault. A contested divorce must be resolved through divorce litigation. Even no-fault divorces often require litigation to resolve disputed terms of the settlement. Common issues in divorce settlements include- -Division of property -Alimony payments -Child custody and visitation -Child support payments This is where Alexandria divorce attorney Debra S. Bray comes in. She has more than ten years of experience as a divorce trial lawyer, and she works hard to win you a settlement that supports your future ambitions and protects the best interests of your children. Uncontested Divorce: Uncontested divorces can be performed on a flat fee basis ($750.00) and can be concluded in a short time if the parties completely agree and meet the requirements under the code. Equitable division of property: Virginia is an equitable distribution state. If you and your spouse cannot come to a property agreement, the court will divide the marital property equitably-which does not necessarily mean equally. The court must make determinations about issues including- -The contributions of each party to the well-being of the family -The duration of the marriage -The ages and health of the parties -The debts and liabilities of each spouse -The tax consequences to each party The court has a limited perspective on these issues, and has a complicated statute to follow. Alexandria divorce lawyer Debra S. Bray presents a complete picture of your situation and encourages the court to interpret the law in your favor. She works hard on your behalf to ensure that the distribution of property meets your needs. Alimony payments: Spousal support is the legal term in Virginia for what most people know as alimony. The legal factors that determine alimony are similar to those used for dividing marital property, but are more sharply focused on the immediate and future financial capacity of both parties. Alimony is paid by the party that the court perceives to have greater potential for financial stability, both in the present and future. The person receiving support must demonstrate need on his or her part, and that the person paying support has the ability to pay. Alexandria divorce lawyer Debra S. Bray makes a strong case for your actual financial realities, whether you are seeking support or being asked to pay it. Child custody: When determining child custody, Virginia courts are required to consider the best interests of the child. The major legal factors that establish the child's best interests are- -Age and health of child and parents -Child's relationship with parent and others -Past and future role of each parent in caring for the child -Ability of parents to cooperate in raising the child -Preference of the child, if mature enough -History of family abuse The family court judge also has discretion to weigh other issues. Alexandria child custody lawyer Debra S. Bray makes sure that your child's best interests are shown to the court from your point of view. Child visitation: Attorney Debra S. Bray cares deeply about the custodial arrangements for your children. As a mother of three, she appreciates the importance of not only watching your children grow but participating in their lives and activities to the fullest extent possible. She also understands that no two families are the same. Each warrants individual attention and care. She works diligently and creatively to tailor a schedule that is in the best interests of your children and can accommodate your particular needs. 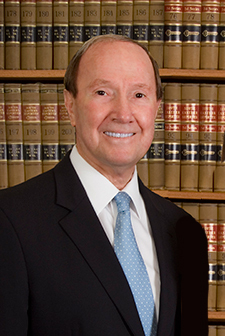 Alexandria attorney Roger L. Amole, was born in Roanoke, and he has been engaged in the full time practice of law in Northern Virginia for 35 years. Mr. Amole is an experienced professional with an impressive record of success as a trial lawyer. He has tried many cases in all of the courts in Northern Virginia and in the District of Columbia over the course of his career. He is also skilled in negotiating advantageous settlements of claims in certain cases to avoid unreasonable risks of trial. Roger Amole's practice is mainly devoted to personal injury litigation including bodily injury, medical malpractice and wrongful death. He also handles significant litigation in the areas of defamation, tortious interference with business relations, and clergy sexual abuse. In addition, he has broad experience in estate planning-drafting of wills and trusts, implementation of wealth preservation and development of asset management strategies. Mr. Amole was selected as a Virginia Super Lawyer in 2006 and 2007 and as a District of Columbia Super Lawyer in 2007 and 2008, based upon peer review and professional achievement. He has also been a member of Outstanding Lawyers in America since 2002 and the Million Dollar Advocates Forum since 1997. He is listed in the Martindale-Hubbell Bar Register of Preeminent Lawyers, and holds an AV Preeminent Peer Review Rating from Martindale-Hubbell. After beginning his career as a prosecutor in Alexandria and rising to the position of Deputy Commonwealth Attorney, Mr. Amole went into private practice in 1974. He is licensed to practice before all state courts in Virginia, as well as federal court in the Eastern District of Virginia and U.S.Court of Appeals for the Fourth Circuit. Mr. Amole also practices law in the superior, district, and appeals courts in the District of Columbia. His community involvement includes years of coaching Gunston and Alexandria girls' and boys' soccer and Fort Hunt baseball and basketball. He serves pro bono as legal counsel for Aldersgate United Methodist Church and serves on the board of the Virginia United Methodist Foundation and the Josephine Daniel Pell Foundation. He also serves as a member (former chairperson) of the Virginia State Bar Fourth District Committee on lawyer discipline. Alexandria divorce and family law attorney Debra S. Bray has been a licensed practitioner of law in the District of Columbia since 1980 and in Virginia since 1986. Ms. Bray has an intense work ethic, and consistently achieves her clients' desired results by working harder and arriving more prepared than the opposing counsel. She takes all the time necessary to prepare every case properly, treating each client's case as her top priority. 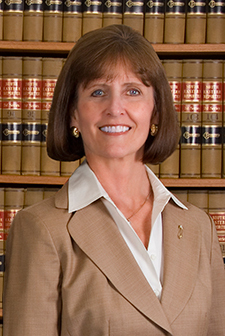 Ms. Bray began her career in 1979 as an attorney for the Federal Labor Relations Authority in the District of Columbia. In 1981, she began representing children who were abused and neglected in the District of Columbia. She is a certified guardian ad litem, representing children who are abused and neglected, and a member of the Family Law Section of the Virginia State Bar. She is licensed to practice law before all courts of the Commonwealth of Virginia, the United States District Court for the Eastern District of Virginia, the District of Columbia Superior Court, and the District of Columbia Court of Appeals. Since 1999, Ms. Bray has concentrated her legal practice in the area of family law, practicing almost exclusively in the courts of Northern Virginia: Alexandria, Fairfax, Arlington, Manassas and Leesburg. Her experience as a successful litigator is in the areas of divorce, equitable distribution, child and spousal support, custody and visitation. As a former stay-at-home mother of three, Ms. Bray well understands the dynamics of family living. Having raised her children together with her husband and current law partner Roger Amole, Ms. Bray brings experience and compassion to her practice of domestic relations law, including representation of battered spouses. Debra Bray has been an active volunteer over the years in the Northern Virginia Swim League, Fort Hunt Youth Athletic Association and Fairfax County Public Schools in the classrooms and in the PTA, and at Aldersgate United Methodist Church.